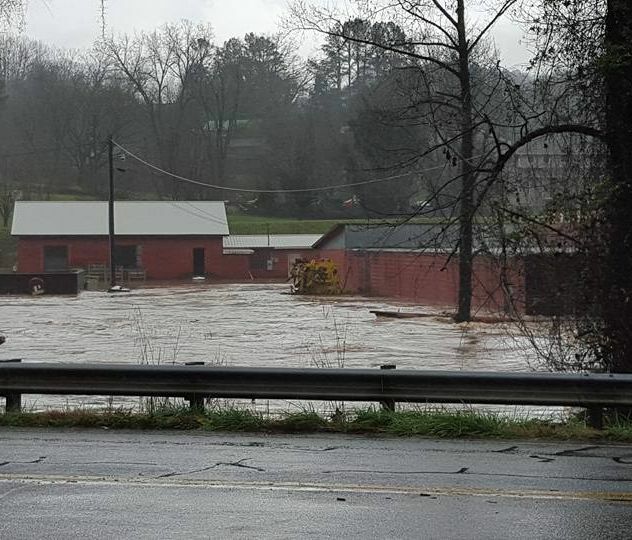 ROME, Ga. -- Officials in Floyd County are bracing themselves for more flooding. Forecasters predict a second round of torrential rains Wednesday that could push river levels well above flood stage. If you drove around the city of Rome Monday the odds were that you would run into barricades where streets were still closed from rains over the weekend. And while many of those roads remain flooded, Emergency Management officials are bracing themselves for another onslaught. Three rivers meet in Rome. 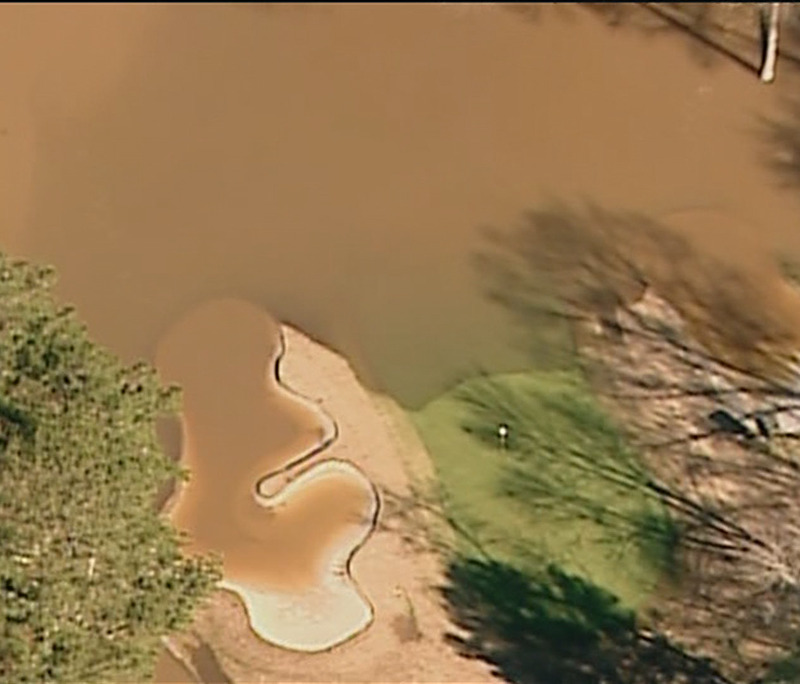 Where the Oostanaula, the Etowah and the Coosa meet is where most of the flooding occurred. Flood stage is normally around 25-feet. On Sunday, the waters rose to 29.96-feet, according to EMA Director Tim Herrington. By Monday the waters dropped to 27.62-feet, still above flood stage. Along the Oostanaula behind the Forum Civic Center in downtown Rome, a park was still under water. What concerns officials now is another round of torrential rains forecast for Wednesday. 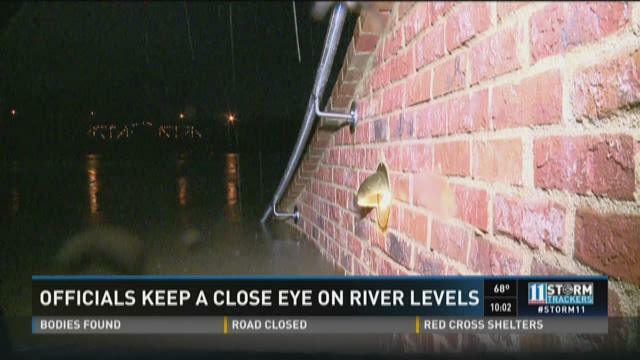 "Tomorrow (Tuesday) should be a full day of clear weather, which will allow the river levels to go down a little bit more," Herrington said. "Our biggest concern is of course Wednesday when we have a second round of storms coming in." In Floyd County near the three rivers, 25-streets were closed due to flooding on Sunday. One day later, there were still 11-streets closed. Even when the waters recede it could be days before they are re-opened. "The main thing is, is there any undermining going on," Herrington said. "And we have to look and see if the asphalt is still in serviceable condition. EMA officials are hopeful the rivers will subside enough within the next 24-hours, so that even when the next onslaught of rain comes, there will be no tragic consequences.